Banana pudding, Bananas Foster, banana bread… Southerners really do have a knack for turning anything remotely healthy into a decadent treat. You could put this banana cream pie at the top of that list. I’m not sure if it’s purely Southern, but it’s pretty darn delicious. 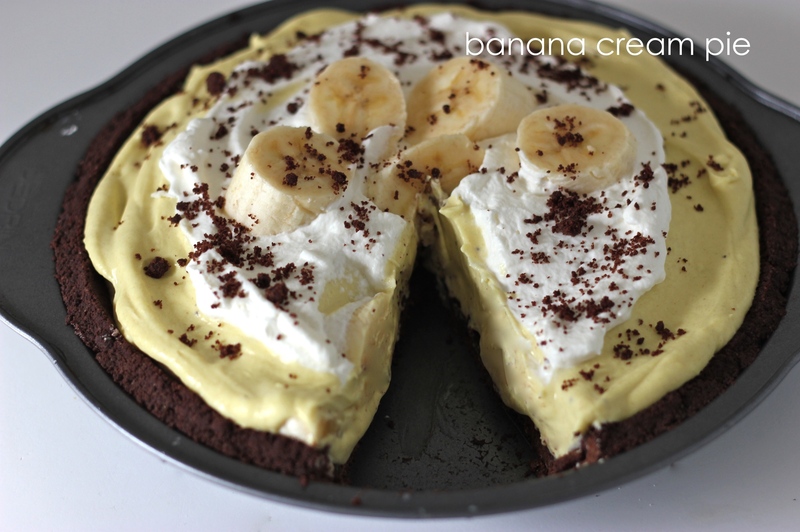 This was my first attempt at making and eating banana cream pie. When it comes to pies, I generally stick to either pecan pie or ones with berries. Again, this cookbook is proving to be a godsend for my culinary ignorance. My tastebuds are forever indebted. for a teachers’ luncheon at my brother’s middle school, i decided to make this updated version of the classic hostess cupcake: deeply chocolatey, cream-centered and topped with that signature swirl. perhaps this will be the very treat to strike a nostalgic chord in someone else’s inner child. i likened (b) the piping method as it was both easier and neater (less crumbs and easier to dip in the ganache later). if you are partial to creme filling though, go for the cone method. (1) Preheat the oven to 350° F. Line 2 12-cupcake tins with wrappers. 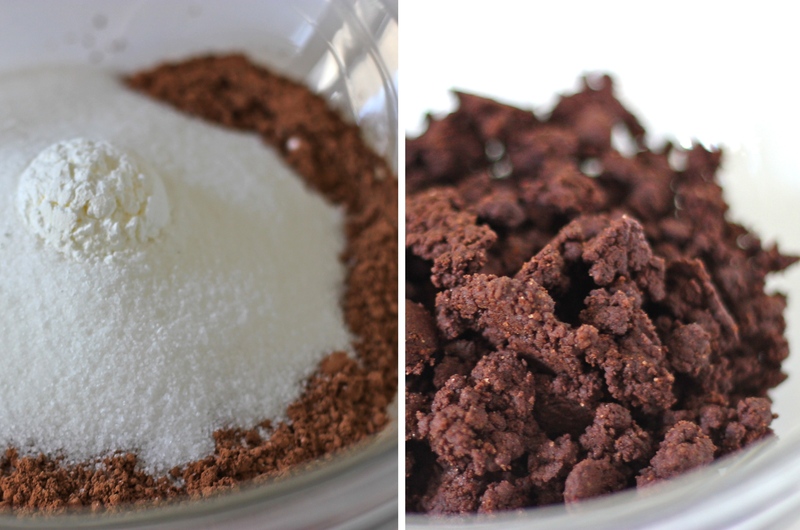 (2) In a large mixing bowl, sift together the flour, sugar, cocoa, baking soda, baking powder, and salt. (3) In another bowl, combine the buttermilk, oil, eggs, and vanilla. With the mixer on low speed, slowly add the wet ingredients to the dry. (4) With mixer still on low, add the coffee and stir to combine thoroughly, making sure to scrape to the bottom of the bowl with a rubber spatula (batter will be thin). (5) Pour the batter into the cupcake pans about 2/3 full (do not overfill) and bake for 16-18 minutes, until a cake tester comes out clean. Cool in the pans for 10 minutes, then place them on a wire rack to cool completely. (1) Combine all the ingredients with a pinch of salt in a metal bowl set over a saucepan of simmering water. Beat with a handheld electric mixer at high speed until frosting is thick and fluffy, 6 to 7 minutes. (2) Remove bowl from heat and continue to beat until slightly cooled. Reserve 1 cup of the filling to use for piping the swirls on top of the cupcakes at the end. (3) Once the cupcakes are completely cooled, fill each cupcake with the frosting (using either method shown above). (1) In a small saucepan, heat cream until steaming. Remove from the heat, add chocolate and let stand for 5 minutes. (2) Add the butter and stir until smooth. Transfer the ganache to a small bowl. (3) Once all the cupcakes are filled, dip the top of each cupcake into the ganache. (4) Spoon the reserved frosting into a pastry bag fitted with a very small plain tip (I used a no. 3 tip) and pipe swirls or any design across the top of each cupcake. fun fact: each hostess cupcake has precisely 7 ‘swiggles’ piped on top. next time you eat one, count them. or make your own and pipe as many swiggles as you want!